While interviewing Nancy Lee, the niece of Doris Slater, a couple of years ago, a family anecdote she shared with me has stuck in my mind. 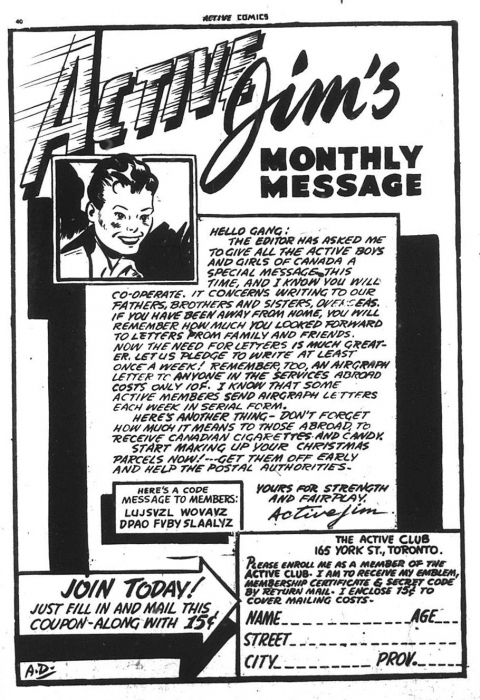 Doris’ older sister, Minnie, was married to Ted McCall, a long time editor at the Toronto Evening Telegram and the person who started Anglo-American Comics in Toronto. 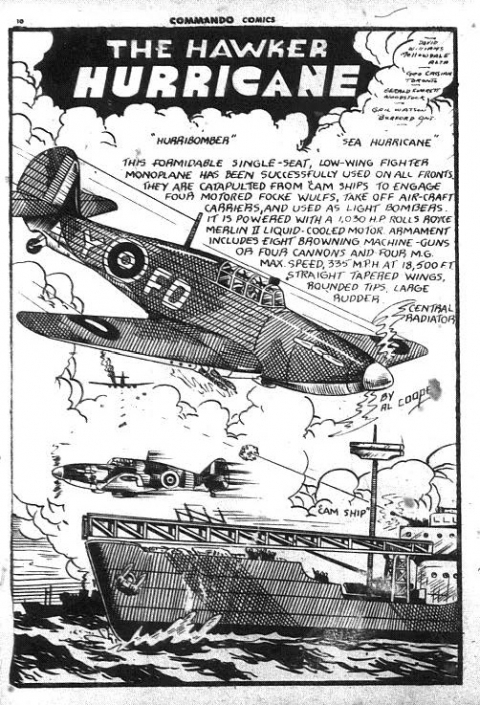 Ted and Doris worked together on the strip “Pat the Air Cadet” which appeared in issues of Anglo American’s Grand Slam Comics and Three Aces Comics. 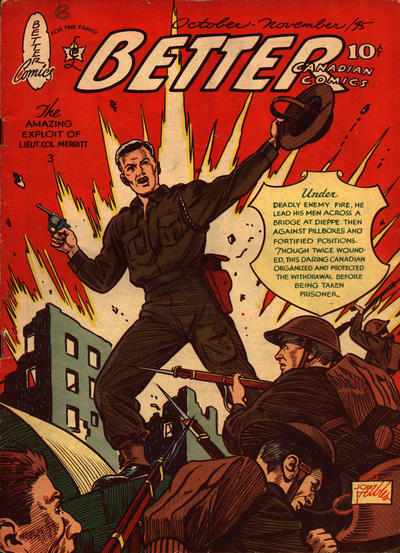 Anglo-American’s most famous and most enduring character, created by Ted McCall and drawn by Ed Furness, was soldier of fortune Freelance who fought the Axis across Europe, Africa, and in the Pacific in his own title. Nancy told me that there had been a family story that a close relative of Ted McCall was involved in the D-Day landing on Juno Beach during the Allied assault on Normandy and during the chaos and carnage of that day (think of Tom Hanks in Saving Private Ryan) caught a glimpse a copy of a Freelance comic partially buried in the grit of the beach. Perhaps the story is apocryphal but it has such a compelling ring to it that it almost needs to be true. 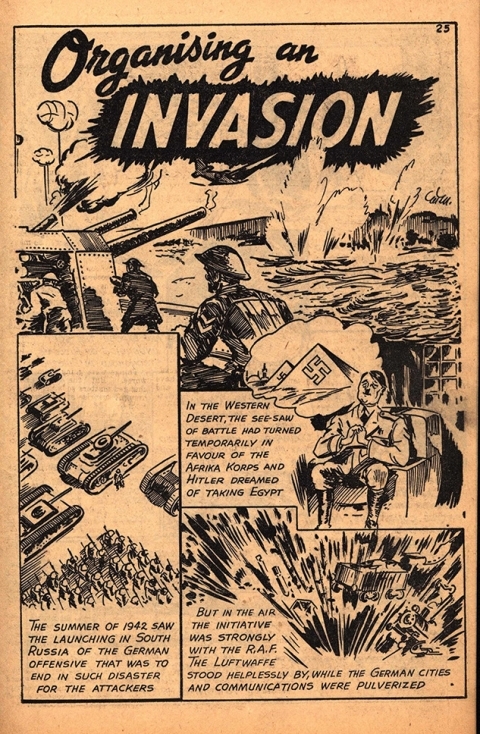 The Second World War and Canadian comics of the period are intertwined in a way that makes them quite distinct from American comics of the same time. 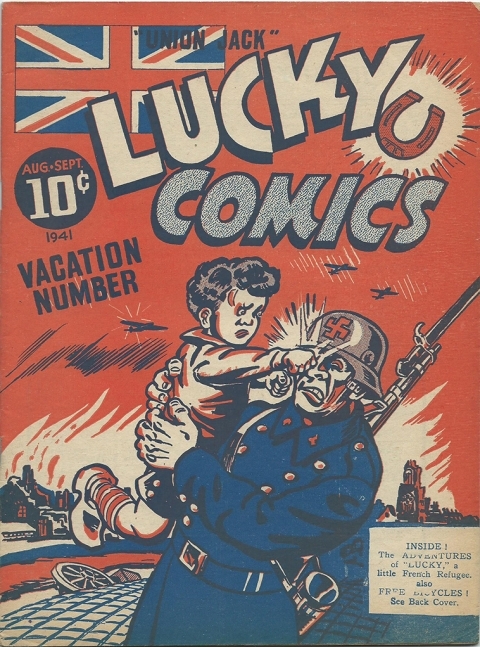 Canadian comics came into being directly as a result of the war through the economic tension produced by that war and an Act of Parliament (War Exchanges Conservation Act) which worked towards solving that tension and which allowed many struggling artists an avenue of employment. 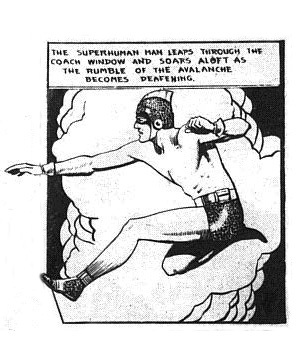 American comics, on the other hand, especially with the appearance of Action Comics and the birth of the superhero, seemed to begin as a consequence of Jewish entrepreneurs and creators (such as Jerry Iger, Max Gaines, Jerry Siegel and Joe Shuster, Eisner, Stan Lee, Jack Kirby…) being unable to find work in their fields due to prejudice and subsequently needing to carve their own way out of that predicament (see Men of Tomorrow: Geeks, Gangsters, and the Birth of the Comic Book by Gerald Jones). Remember, it would be another generation before we had a national flag of our own and at that time our soldiers fought for and rallied around the Union Jack and Newfoundland wasn’t yet a part of the Dominion. 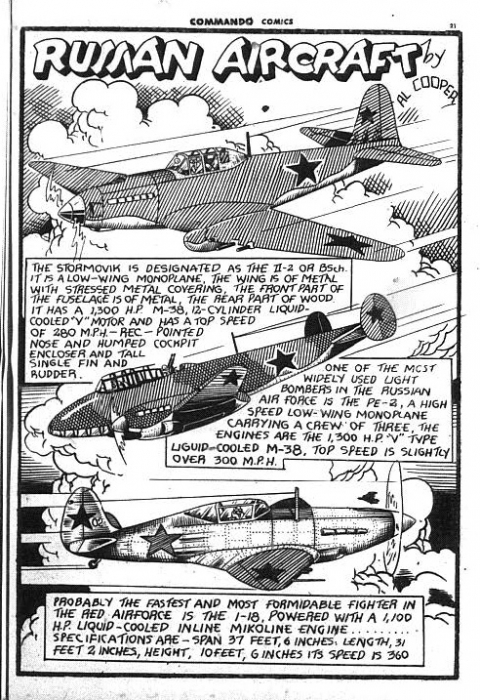 The war stoked the comic fires of each of the four main companies and provided much of the steam for their continued popularity. 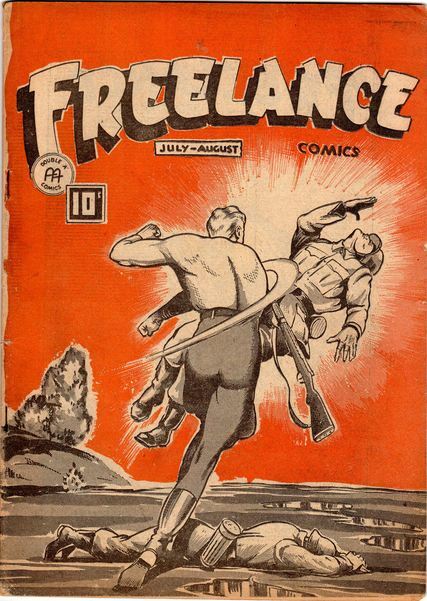 At Anglo, as mentioned, Freelance was the main champion, but every one of their heroes, except for maybe Robin Hood and The Purple Rider, regularly butted heads with Axis foes at one time or another. But aside from maybe Freelance, Anglo-American tended to hyperbolize the war for its readers more than the other publishers, most often reducing it to the caricature you might find on a daily newspaper editorial page. Here are a couple of examples. At Educational Projects in Montreal, the presentation of the war was a far more sober affair and the real exploits of our war heroes became the firm backbone of its main title, Canadian Heroes. 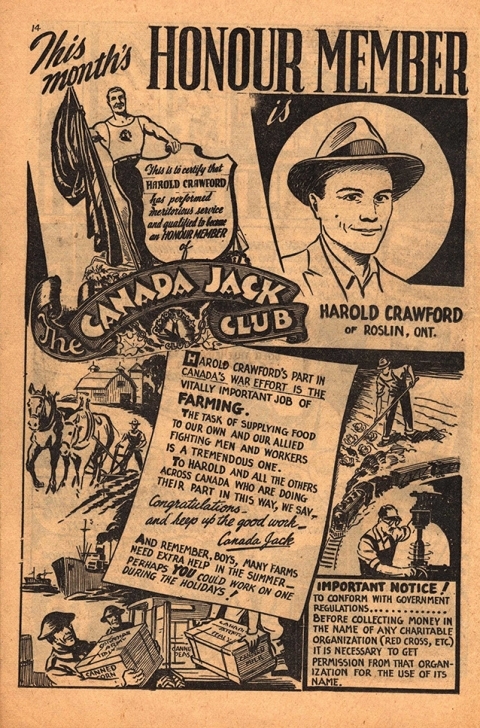 Even when George Menendez Rae brought the fictional Canada Jack aboard, his main foes were fifth columnist saboteurs trying to mess things up on the home front and main aim of the title’s Canada Jack Club was to connect and pull readers into an awareness of the war effort on the home front right across the country. 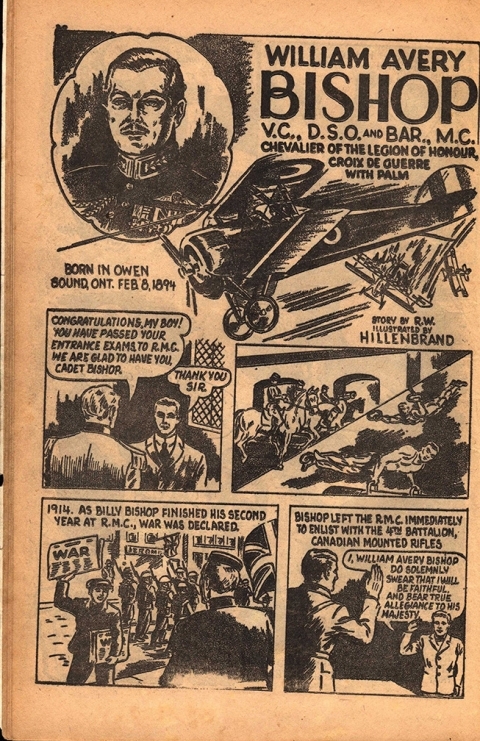 Canadian Heroes often dipped back a generation into the Great War for stories about war heroes such as Billy Bishop. 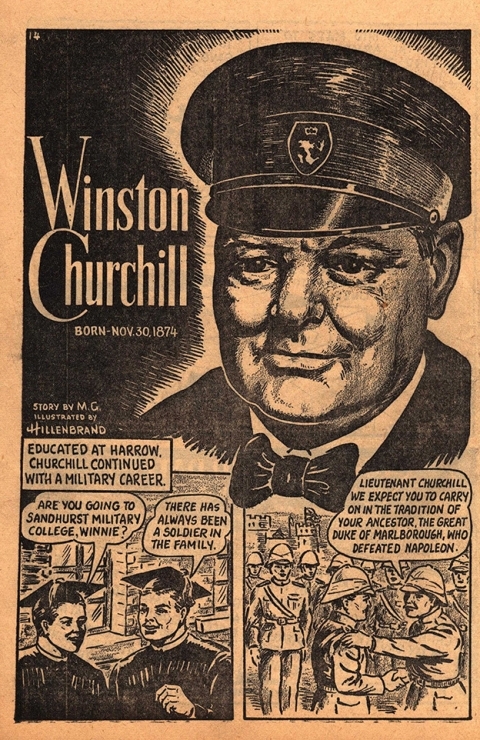 The title also provided biographical sketches of famous war leaders such as Winston Churchill and offered up informative accounts of events from the war to its readers. Maple Leaf Publications out in Vancouver seemed to have been the most subdued when it came to flaunting stories and images of the war in its books and it appears to have been the most escapist publisher of the bunch—escapist in the sense that it the war wasn’t as front and centre in its pages and on its covers as it seemed to have been with the other publishers. 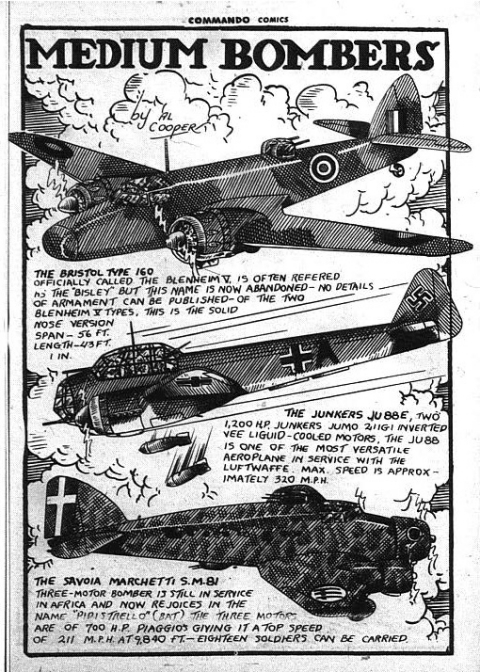 Yes, it did have, by the way one of my favourite story lines in WECA comics, the saga of eight-year-old orphan Lucky and his trek through occupied France in Lucky Comics. 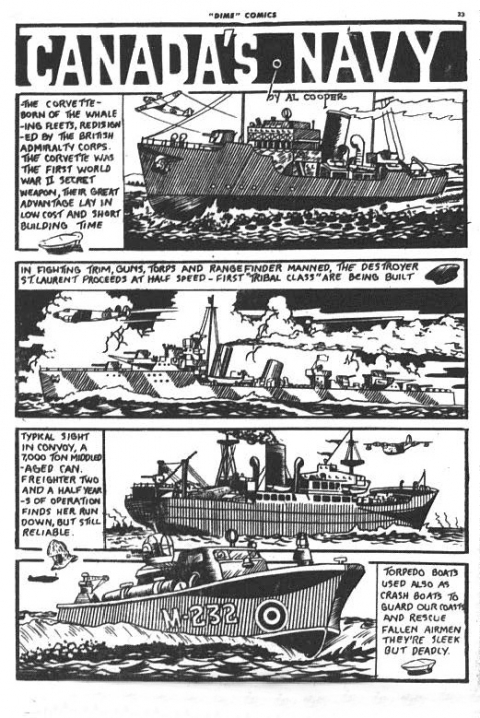 Maple Leaf was also the home of Bill Speed and strips like “Action Stations,” but the war never seemed to be the front page story for them. Check out how many war covers Maple Leaf put out compared to the other three main publishers. Better Comics Vol. 6 No. 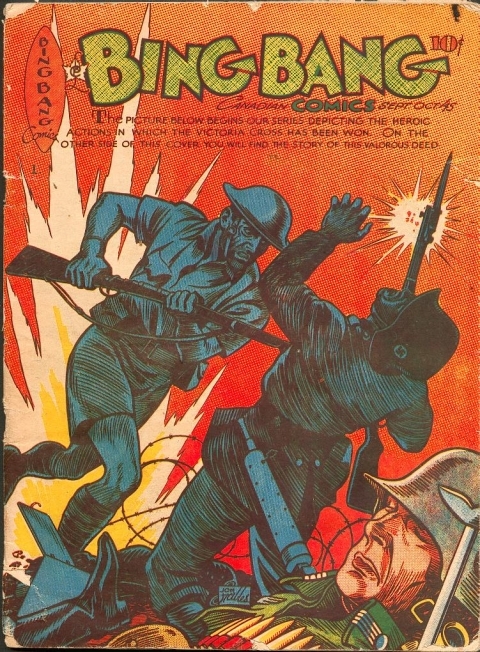 2 the 3rd Victoria Cross cover. Bing Bang Comics Vol. 6 No. 4 the 5th Victoria Cross cover. These three are all by Jon Stables so I assume Numbers’ 2 and 4 would be by him as well should they be discovered. I hope we can determine, in the near future, how many there were in total and on what issues they appeared. 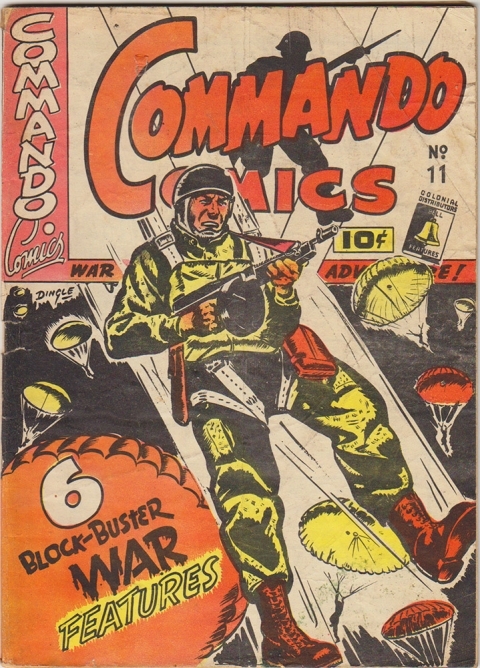 At Bell we had one of its seven main titles, Commando Comics, specifically devoted to the exploits of the military and we can’t forget that Johnny Canuck was, above all, “Canada’s answer to Nazi oppression” who, indeed, managed to sock Hitler right in the nose. 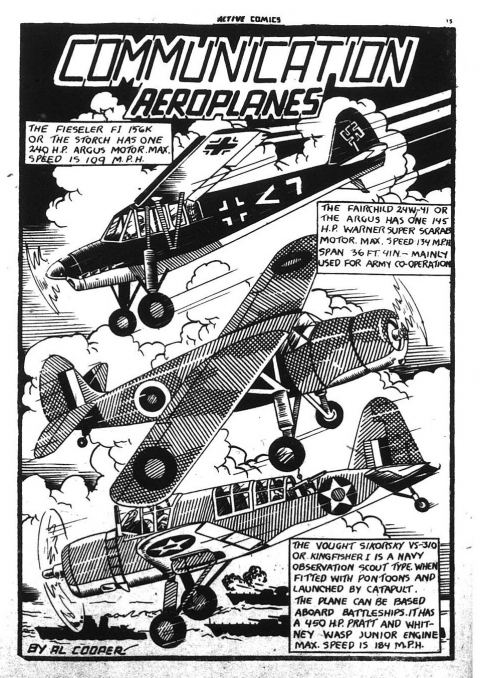 Also we can’t leave out the Bell air aces such as Crash Carson, Ace Bailey and Scotty MacDonald who all carried on in the tradition of Spanner Preston from the first issue of Hillborough’s Triumph-Adventure Comics. 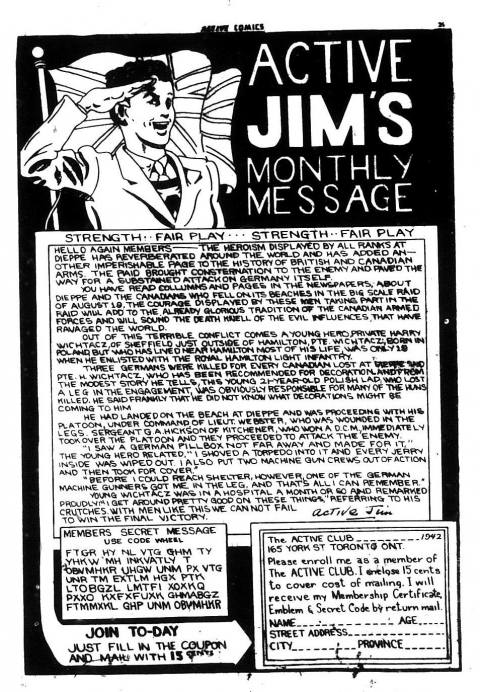 The Active Jim Club also updated readers on events in the war and shared stories of individuals who were fighting overseas. The club also encouraged readers to share their stories of how they were contributing to the war effort here at home. 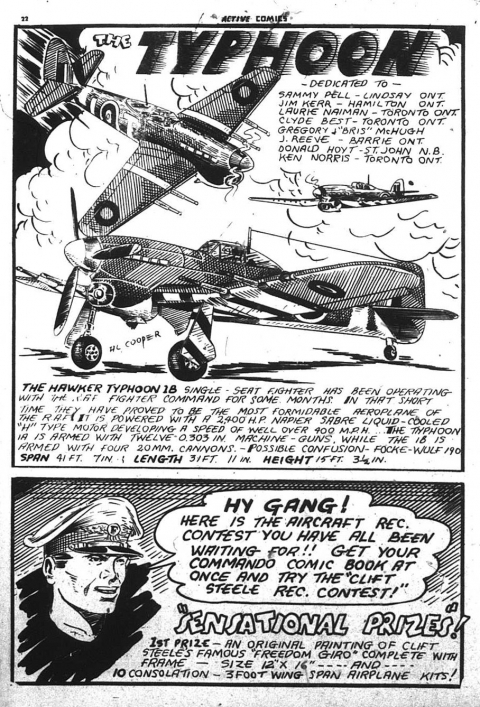 However, some of the best war pages in all of the Canadian war-time comics belonged to Bell Features. 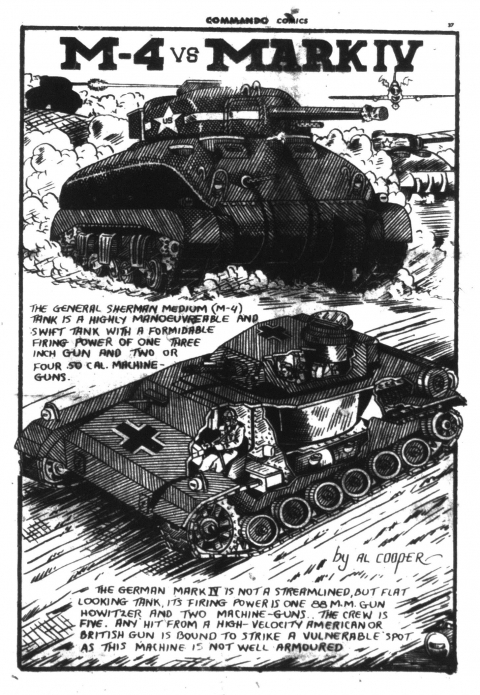 Ironically they didn’t feature soldiers and combat but were full-page war machinery and weaponry studies by Al Cooper. Cooper was born in 1925 and was a teenager of 17 or 18 when he was doing these. 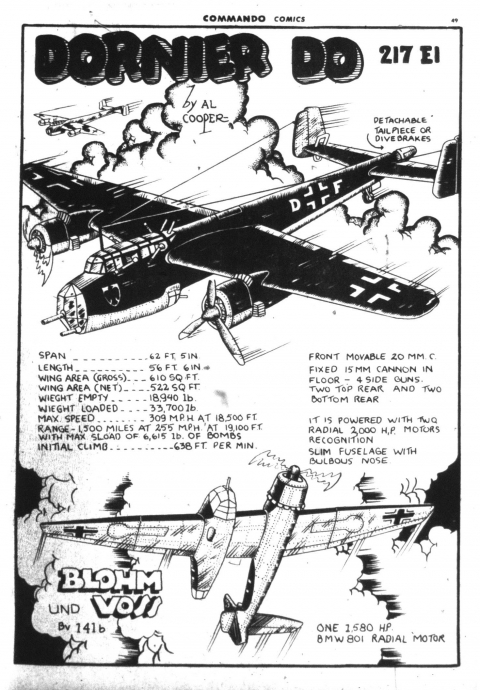 Here is one of his earliest from Active Comics No. 5. Here was a teenager introducing other teens and pre-teens to some of the mechanics and machinery of war. 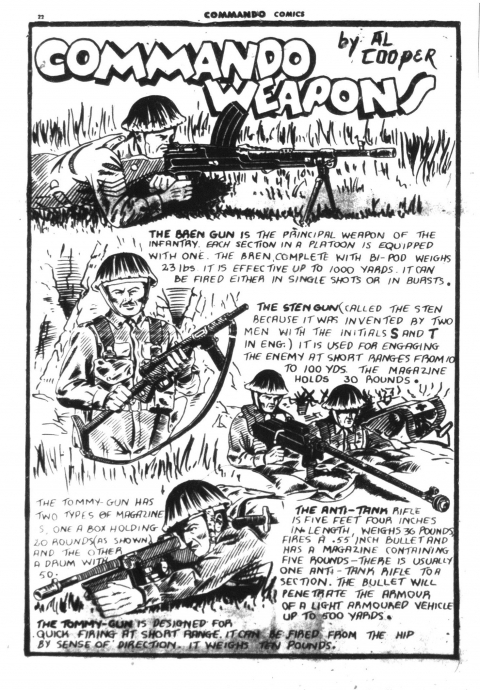 Today these images may have been exploited into a money making line of G.I. 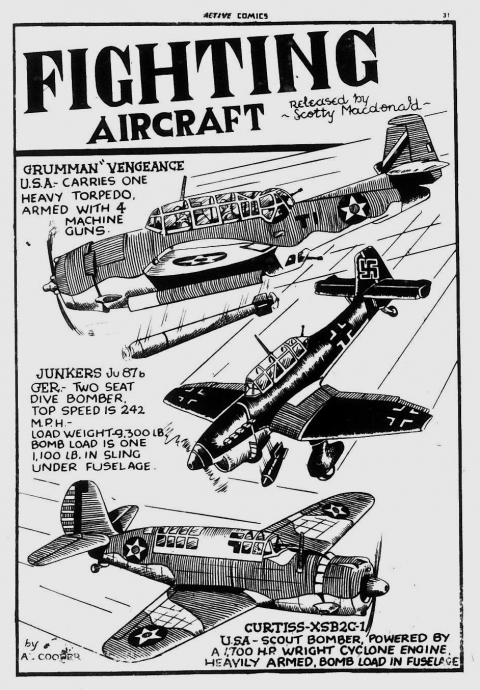 Joe type toys but at that time, perhaps because of the lack of change in the pockets of war-time Canadian kids, it seemed the best that war-time toy manufacturers could come up with the play rifles and model plane kits. 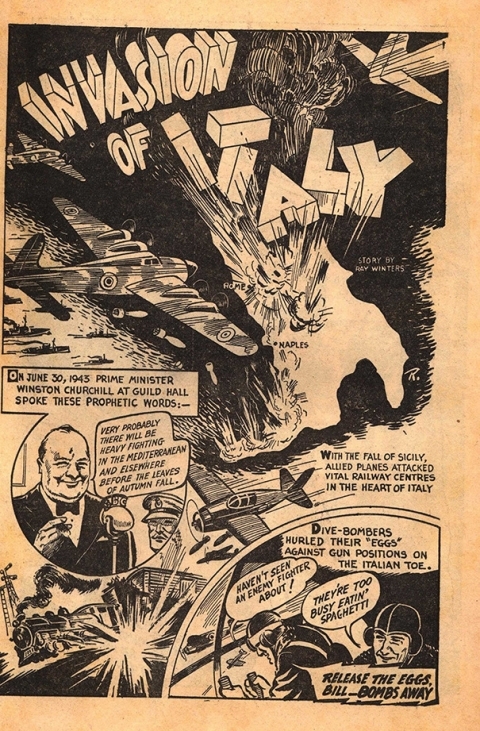 I think Canadian comics did a great job of connecting readers to the actuality of the war and adding to the information they received from radio and news reels in a way that American comics of the time never really did. 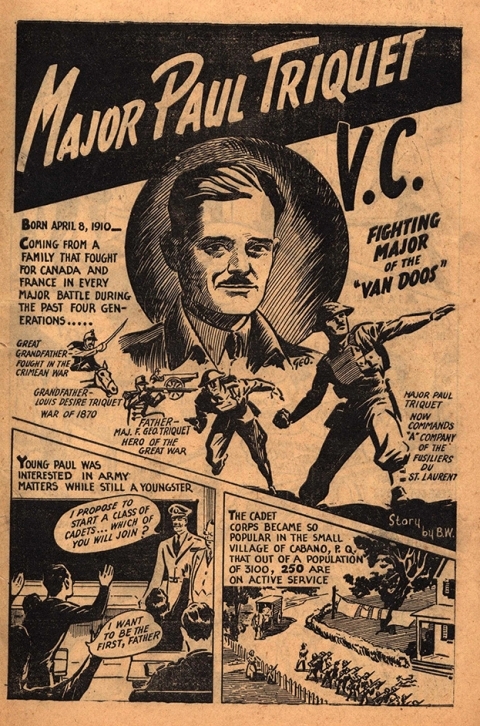 They also connected young comic readers to each other across the country in a social network of sharing what they were doing to contribute to the war effort. 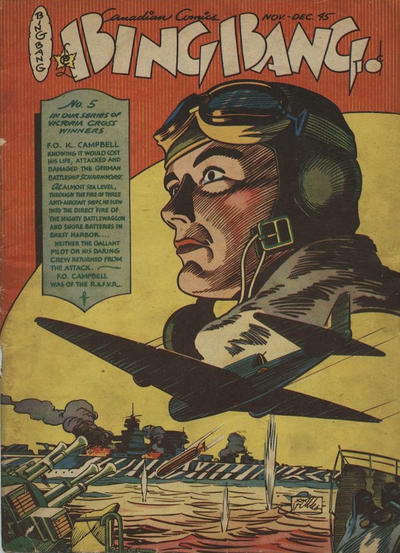 In fact, once the war was over the wind seemed to collapse from the sails of Canadian comics and only partially because American comics were bound to return soon. Heroes no longer had the same enemy to pound. 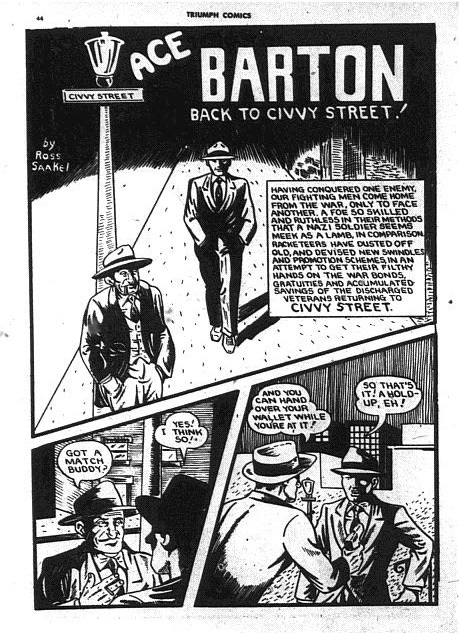 At Bell, Ace Barton returned to Civy Street, The Brain and other heroes started taking on black marketeers and Capt. Red Thortan battled a drug ring. 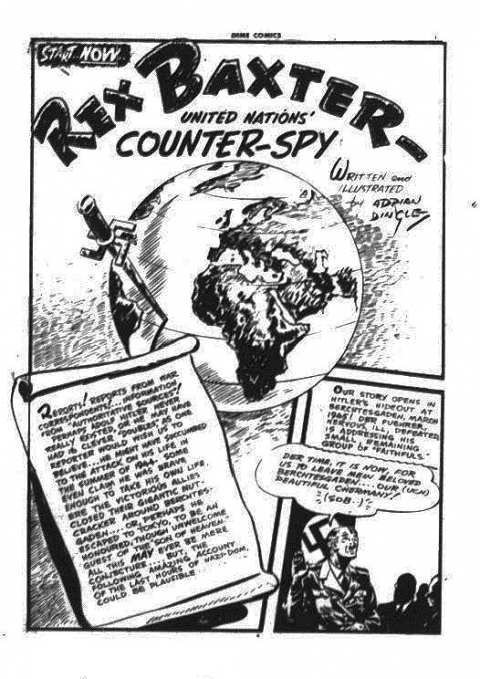 Rex Baxter became a counterspy for the United Nations but managed to keep his wartime integrity by chasing a supposedly post-war surviving Hitler (remember his body wasn’t found till decades later) down to Atlantis. From Triumph Comics No. 29, Ace Barton returns to Civvy Street. From Dime Comics No. 23 and the start of the change to Rex Baxter. At Maple Leaf, Mono the Air Cobra became a Bush Pilot and Brok Windsor left the Land Beyond the Mists (perhaps a metaphor for the Second World War in itself) and returned to everyday civilization to a world where people were less than 12 feet tall with Starra in tow. Funny animal features start appearing more often in all the Maple Leaf titles and also started taking over the covers. The times in comics were changing just as they were south of the border. 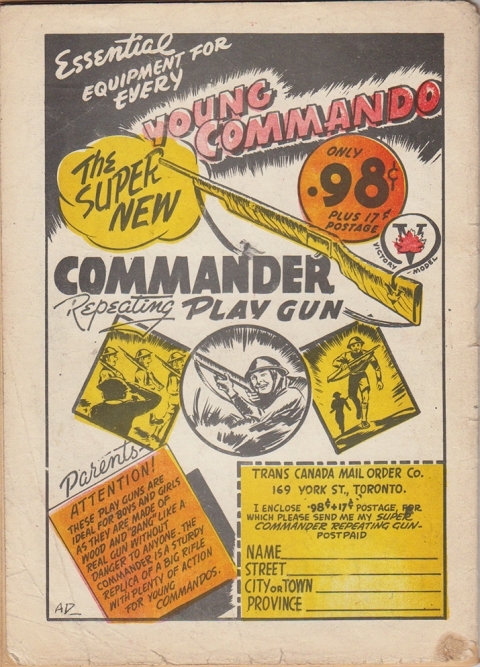 War comics would not become popular again until the time of the Korean War but Canada’s involvement in that conflict did not lead to an act of parliament that caused American comics to disappear off the newsstand shelves and present a clean slate for the birth of new set of original Canadian comics. 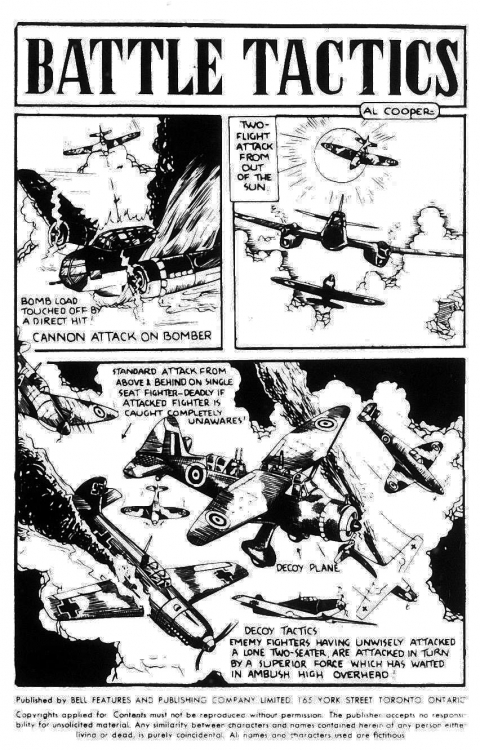 A retrospective of the presentation of the Second World War in Canadian comics would make a great travelling display at war museums and galleries across the country. 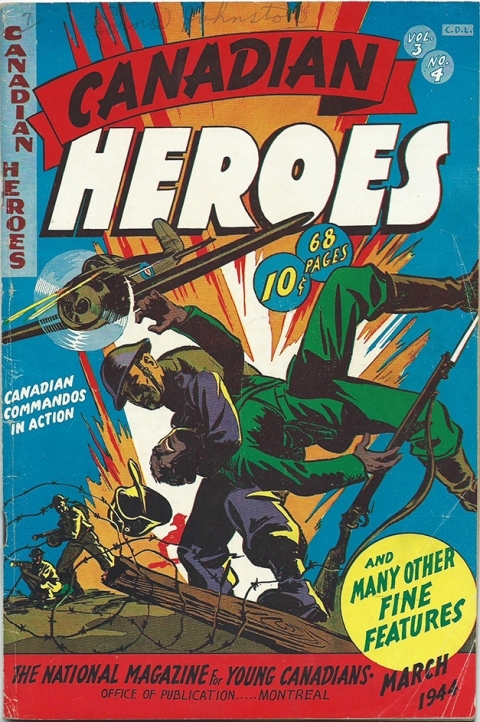 It would be amazing to see a number of these great covers and pages and original art blown up to poster size and we might better understand what Canadian kids were presented with when it came to the war and what little bricks our own Canadian comics added to the larger wall of our Canadian identity as it developed over three generations ago. In the WECA comics collecting community a polarizing question has recently arisen again and it concerns the following. When someone who has a sizeable collection of WECA comics is ready to divest themselves of the collection is it better that that person place that collection on the open market so that the books are made available to collectors or is it better that the person donate the collection to an archive or library so that it will be preserved as a whole and be available to researchers in the future? Circumstances will of course be different for each owner of a large collection of WECA comics who may be ready to part with them, but my own feeling is that if the owner doesn’t need the financial compensation that the sale on the open market such a collection would raise, then that owner should probably donate the collection to posterity. If, on the other hand, the owner is not financially settled and needs the liquid funds the sale of the collection would provide, then of course he should sell the collection. Many collectors feel they should be able to have a crack at these hard to find comics before they disappear into archival vaults and that owners of these solid WECA comic collections are wrongly depriving collectors, who would appreciate and “love” these comics far more than dusty shelves in an archive could. I say this in the face of the fact that in the past couple of years two good collections of these books were donated separately to archives at Ryerson and Western Universities while there is currently rumour that an equally solid collection of them will be appearing on the CLINK comic auction site this summer. How do readers feel about this dilemma? Quick news item: The Library and Archives of Canada, down the road from the Parliament buildings on Wellington St. up in Ottawa, is opening a month-long retrospective display on Canadian comic books put together by Meaghan Scanlan, who is responsible for their Bell comic book collection, in May. The retrospective is called Alter Ego: Comics and Canadian Identity and opening night is Thursday, May 12—the day before the start of the Ottawa Comiccon. I’m heading up to the Archives to tie up some loose research ends and plan to be there for it. I know that John Bell will be offering a short talk on Canadian comics for the event and that Mark Shainblum (Northguard creator) will be there. I hope some readers will be able to make it up there. It’s always great to meet other people who love to talk Canadian comics. Ivan your the most important wind bag on WECA comics so please dont ever do short columns , these columns need to be long for you to get the vital information out to the collecting community !! Thanks, Tony. Tony, you know American golden age war material pretty well. 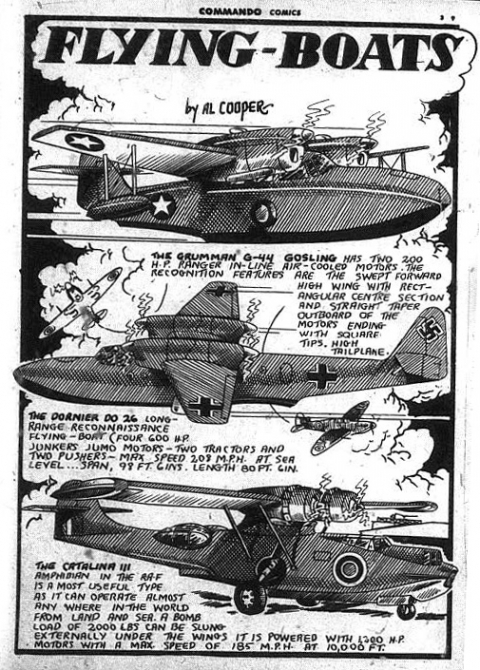 Have you ever come across anything like the Al Cooper war machinery pages in American books or is this type of presentation peculiar to Canadian golden age comics? Thanks again, Tony. That sort of confirms my own suspicion. Valuable insight, Peter. I like your suggestion that existing archives should be trying to record their WECA comic collections digitally. I suppose the National Archives did try to do this in a way when they produced the microfiche record of the Bell Features comic collection in their holding back in 1972. 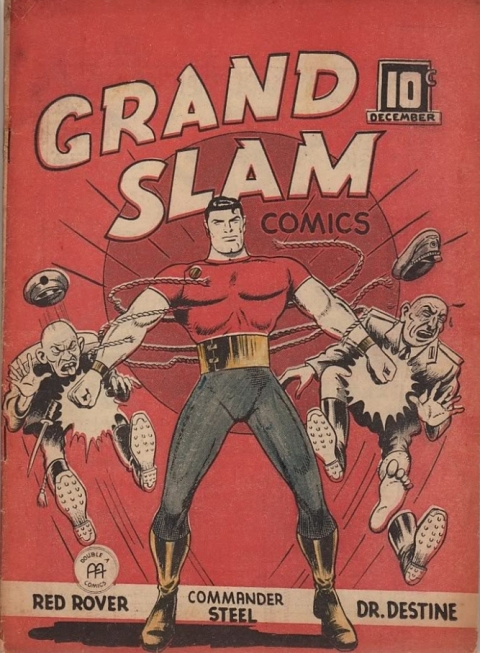 My understanding is that the Library and Archives of Canada is beginning to undertake a digitization of its collection of Bell Features comic books and original artwork. I wish there were government grant monies to go out to collectors and carefully scan a copy of every WECA comic we can. Perhaps a kickstarter should be initiated to begin such an undertaking towards creating a digitized database of WECA comics. Great article Ivan! With respect to my WECA holdings, the collection will not be donated to an archive, but rather made available to collectors. In fact, I would even entertain an offer, but it would have to be tremendous, and it would have to be for the entire collection, not piecemeal. Thanks, Stephen. If your collection ever did come up for sale or auction, it would certainly be a newsworthy event and it would give someone (with obvious deep pockets) one of the best WECA comic collections in the world. note: If there is one for a certain ‘Bart Bandy’ (rank fluctuates – see Donald Jack) I haven’t found it yet. Do you own copies of or have scans of these elusive books? I haven’t seen these covers before. Thanks for this info, Jim B. I saw the cover for the Lucky Comics with the V.C. winner cover for the first time yesterday. It looks like all 5 of them came out almost simultaneously with Oct./Nov. 1945 or Nov./Dec. 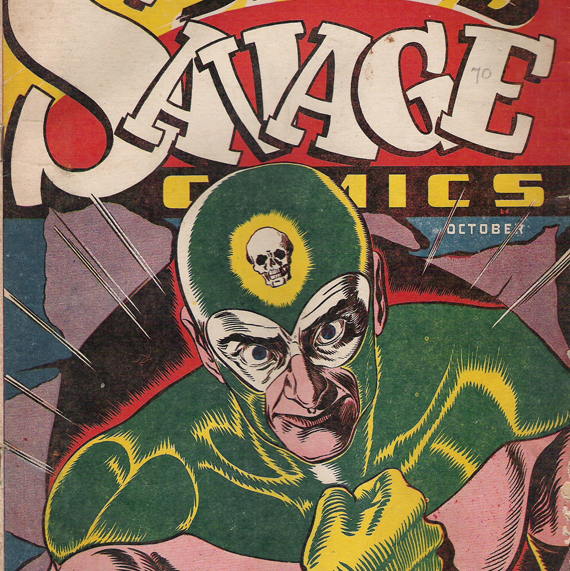 1945 cover dates. Another brick in the wall of fully understanding those Mysterious Maple Leafs. Hey Jim Finlay, I only wish I had copies of these Maple Leaf books. The information comes from the Ted Ross archives out west. The best I can do is offer to scan the black and white photocopy I have of the cover of Rocket Comics (v5 #7) and send an email. Ivan–Wanted to let you know your columns can run as long as you want. This one was a lot of fun and once again I learned a lot. About passing on collections: Certainly the collector should do what works for them first. That said, I think they need to be very careful if they donate the collection, that it WILL be cared for, be accessible. Institutiions can certainly NOT handle things properly, can neglect the material or bury it. So go in with eyes wide open if you want the right things done with your books. In general, I lean towards getting collections out into the marketplace. It diversifies them so they are safer from fire & such, than if they were all in one location. Iit lets more people enjoy them. And the buyers will certainly take good care of them, having PAID for them, while the institution that gets them for free just may not appreciate them as much. A digital database for all WECA books cover-to-cover makes all the sense in the world. 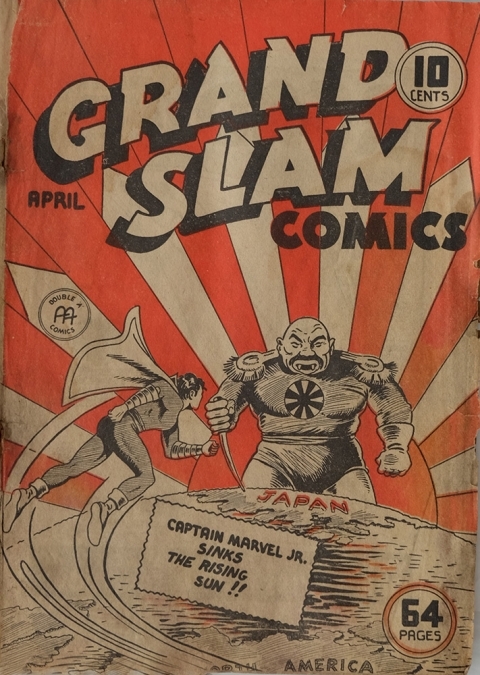 There is already a Golden Age Comics database doing this for American comics, and since we are dealing with a limited universe of WECA books, this it not as giant a project as it will be for U.S. books. Certainly that could be asked for if a collector donates books to an institution, then everyone benefits–even the collector, who now can access his own books digitally anytime he wants to. But most of all, that is a huge benefit in making the books available to the general public so they CAN be appreciated. All collectors can participate, as is happening on the Golden Age database, and it gets done in reasonable bite sized portions. We folks with the lower grade copies, myself included, can do it without harming our books, since the high grade copies aren’t probably going to be available for this. Craig Yoe for all of his IDW reprint collections is now using a 90% scanner where you can lay a book over the corner, so it does not have to be flattened on a scanner face. The scanner gets it right to the edge, and the books is opened less widely than you would if reading them. I don’t have one myself, but it should be the way of the future for fans scanning comic book interiors. I’ve lost at least one prize comic when flattened out, and the spine split. But now I’m confident that books I loan to Craig will be handled well and come back in the same condition. FYI – Unabashed plug…I’m going to handle Hope’s Geek Girls book, and she’s getting signed bookplates for me. 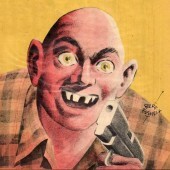 Michael Gilbert is also going to do a special bookplate to go with our copies of the upcoming Mr. Monster collection. 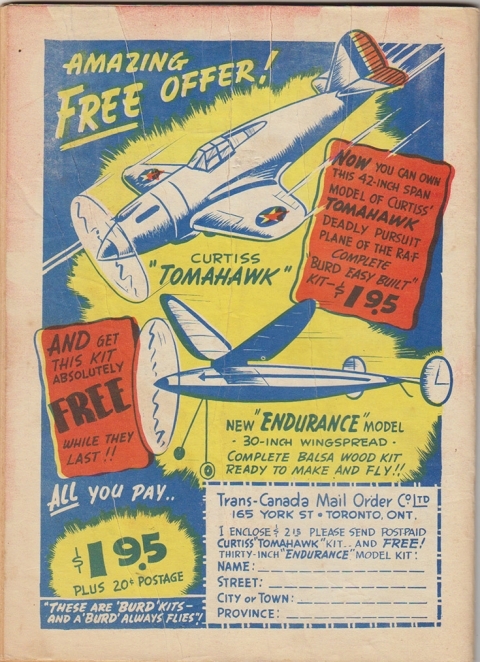 I’ve got plenty of all three previous collections in stock–Johnny Canuck, Nelvana, and Brok Windsor. I think Canuck or Brok were nearly out of print from Hope or Rachael last time I checked. I laid plenty, probably too many, so we could keep them available to customers. 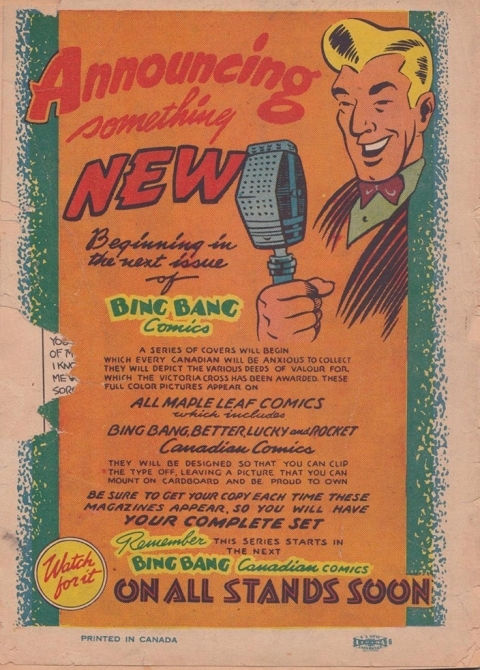 Wouldn’t it be just great to see all the elusive Maple Leaf Comics covers in their wonderful colour? I wonder if it’s possible this year for the Ross collection books at the City of Vancouver archives to be digitized for inclusion in the LAC exhibit in Ottawa, y’know for the 75 anniversary and all. There must be some way to get this done, in my opinion. If the problem is money for digitization I could offer a number of ideas, not the least of which would be a popularity poll taken at the LAC for ‘best cover’ and the Vancouver collection could put the winning cover on a souvenir mug (or something) to raise funds for the cost. Jim B. I think that the timeline is too short to include scans for the LAC exhibit which opens on May 13. I know that the LAC has begun to digitize its own Bell collection and you can find these digital versions online. It would be great initiative and project to digitize all known copies of WECA comics under one of those Canada 150 grants that the government is offering for Canada’s Sesquicentennial next year. Nice to hear from you Bud. I have one of those 90 degree scanners and they do work well. I hope that you do well with Hope and Rachel’s new books. The Mr. Monster book seems to be taking an extra long time and Rachel seems to have dropped off the radar for a time. I hope all is going well. My hope is that the new Chapterhouse company will get into reprinting some of the WECA books and character runs as well. Bud, it would be neat if you could make it up to Niagara Con in Niagara Falls early in June. We’re having a 75th year birthday anniversary bash for Canadian comics at the Big B comic store in Niagara Falls. I hope you will try to sell only to Canadian collectors so that, at least, the books don’t leave the country. Then who would catalogue our heritage? And, since these books would then likely never make it into the Canda’s Own Database, it goes without saying that this would be a great loss to Canadian historians. I hope you think about this seriously. I would love to read these stories even if they’re Digital scan. Maybe scan them for comic book plus or the digital comic museum. Also how about a detailed wiki with all the golden age characters? Alex, there actually is a wiki (or ‘wikia’ in this case) for the Canadian characters and comic books. It was started by Rachel Richey (Comic Syrup) and as it seemed no one wanted to come out and play, I guess it’s just gone inactive now. You’re quite welcome to add Canadian information to it and help drum up interest if you like. I gather it’s just no fun unless others join in with accurate data. I would dearly love to attend the “Big B” event but I’m already off on vacation now, in the wilds of Oregon. Then it back home to work! There is an EC Comics exhibit at the University of Oregon in Eugene,, where they now offer college courses and degrees in comic book studies. I missed opening night with my buddies Roger Hill (EC Fan-Addict, Squa Tront) and Grant Geissman (more books on EC than I could list, plus newer Al Feldstein bio) but looking forward to seeing this. Good coverage online for anyone interested., put in “EC Comics + University of Oregon” in the search and several articles come up. I am astounded at the words I have just read on this string. Bud Plant’s opinion on Ivan’s WECA post awhile back is just so typical of American distrust of Government, public Institutions, co-operation and sharing. It’s so typically American that we see so many times on this side of the border as Americans are confused about democracy and its execution. Plant says museums “can certainly NOT handle things properly… can neglect the material or bury it”. Excuse me? Try to insult me again big guy. Bud ‘The Plant’ who seems to ignore that privately held comics can’t be seen by anyone for research thinks “while the institution gets them for free just may not appreciate them as much” How many institutions should I list here who have saved comic art in the hundreds of thousands? What clown would say that? This man does not get out much. Jesus, this insults all of us who work to save the comic arts for the public. He seems not to understand a conservation policy and procedure thinking he knows more than someone who did a four year degree? And works on behalf of the public? Bud is just clueless . And insulting to my profession that preserves art for the public. W. M., it sounds like you have some serious issues to work out, I wish you plenty of luck with that. As to the museum thing, you’re pretty off the track on that one. I guess you never heard that our very own one here in Ontario lost track of a 90 foot long dino at one time, and then years later found it in their own basement. “It’s the long missing remains of a dinosaur and red-faced ROM officials admit it’s been inside the building for more than 40 years..” A quick web search will show you more details. Harley also had a earlier Freelance with b&w cover, don’t recall the number, but it was $1400 so not for me. I haven’t before paid this much for the later Anglo American books before, usually $75 to $100 or so. But they are fewer and far between lately. I was very happy to find anything like this and in nice shape..
Comic-Con July news, followup: Harley Yee had a Dizzy Don #22 but I didn’t get the price on it. Just realized that my level of confusion at the start of the article was a few levels above where it normally resides (became a senior citizen earlier in the year). I made the error of stating that Ted McCall was married to Minnie Slater, sister of Doris Slater. In fact Minnie was married to Celtic Donaldson brother of Elsie Donaldson and it was Elsie who married Ted McCall. The connection between Ted McCall and Doris Slater was slightly more removed than I presented in the first few sentences.